Anxiety disorders affect 40 million people in the United States. It is the most common group of mental illnesses in the country. However, only 36.9 percent of people with the condition receive treatment. While it is normal to feel anxious, it is not normal for this response to last, re-occur, or get worse. Anxiety has the ability to impact your daily life, including work, friends, family, relationships, and sleep. Chronic anxiety can lead to depression, often creating a cycle between depression and anxiety. Symptoms of anxiety are the result of chemical changes in the brain causing an increase in autonomic drive. Anxiety patients often suffer from symptoms including loss of pleasure, hopelessness, and difficulty with concentration. Other symptoms commonly reported by anxiety patients include abnormal laughing and crying, aggression, impulsivity, irritability, fatigue, anger, depression, loneliness, nausea, loss of appetite, and persistent headaches. Traditionally, anxiety has been viewed from a neurochemical perspective as a mental health disorder, characterized by feelings of worry, anxiety, or fear that are strong enough to interfere with one’s daily activities. Treatment has been mainly directed at improving the levels of serotonin as well as norepinephrine. We know that this is not the only mechanism involved, as many patients do not respond to a variety of different medications. While it is normal to feel anxious, it is not normal for this response to last, re-occur, or get worse. Anxiety has the ability to impact your daily life, including work, friends, family, relationships, and sleep. Chronic anxiety can lead to depression, often creating a cycle between depression and anxiety. It is important to understand that anxiety can occur following concussions, traumatic brain injuries, stroke, and neurodegenerative diseases. It is critical to understand this because treatment for anxiety will be different for each one of these aforementioned conditions, as there is a different root cause. There are many more potential causes of anxiety, but one should understand the importance of identifying the cause. While many do know the source of their anxiety, many more do not. This often leads to a life full of additional anxiety and stress because they do not know why it started. The VNG or testing of eye movement gives us a representation of the function of eye muscles, cranial nerves, brainstem nuclei, cerebellum and cortical regions. By measuring things like gaze stabilization, smooth pursuits, saccades, and optogenetics it helps us to differentiate the areas of weakness. 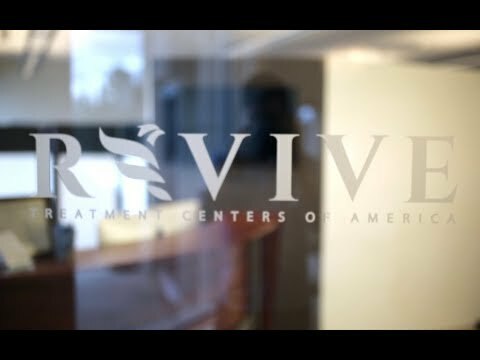 At Revive we specialize in providing treatment to the neurological regions affected by anxiety. Your treatment can include balance, gait, and eye training; as well as hand-eye coordination, repetitive transcranial magnetic stimulation (rTMS), hyperbaric oxygen, diet, and supplements. Beyond the neurological system, there are many factors that can impact the presentation of anxiety: the immune system, diet, sleep, and stress (to list a few). By integrating knowledge of the brain and influence of these factors, we are able to be very specific with targeted therapies which create lasting neurological changes. Your treatment plan is designed specifically for you and is not a protocol.